We're a quiet and cosy Guesthouse situated at the heart of George Town, Penang. 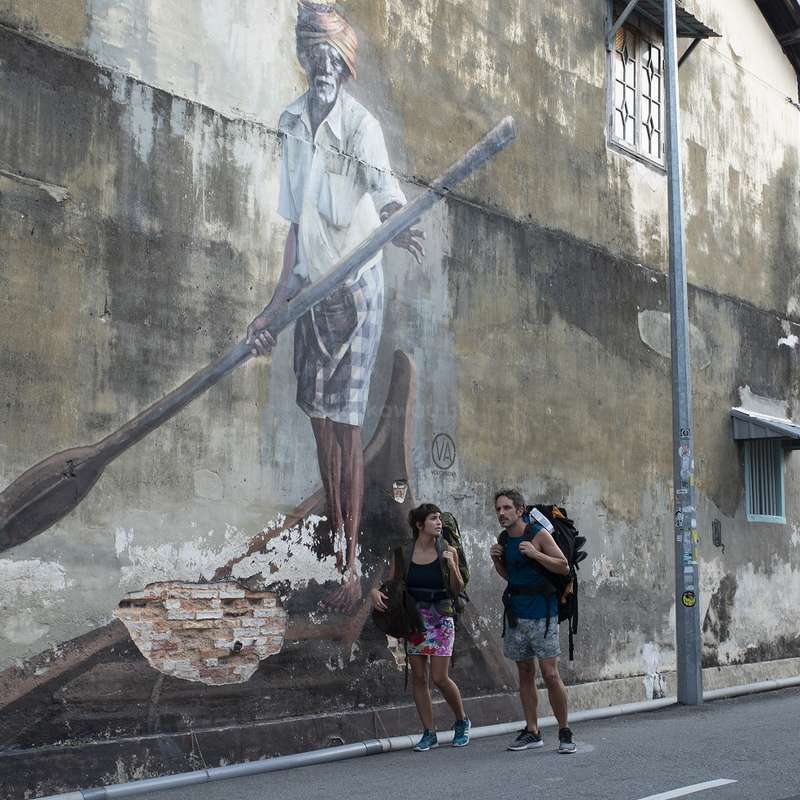 Only 5 minutes away from some of Penang's best street food and the famous street arts. The hostel itself is a newly renovated heritage home and features the original brickwork. Our living room is super cosy and comfy, people often chill there while trying to runaway from the heat. The work has been split in two shifts, morning and afternoon. The work that we need help with is really easy, I'm sure you'll enjoy our place! Please note that we're not a party hostel. If you're looking for that, we're not your best option (Sorry, not sorry). Our location is what you are going to benefit the most. We're literally 5 minutes away from many famous places including street food, markets, museums, attractions, street art, just check it on google map, I'm sure you'll enjoy it! This guesthouse is all about preserving the memories of the building, expressing the detailing, creating a natural, comfortable and authentic interior which appears to be a joy to occupy. All effort has been made to preserve as much of the character of the existing building as possible. Existing features have been left untouched while new circulation has been added. The interior retains traces of its previous incarnations in the form of sections of exposed beams, brickwork and aged door. Those incredible worn walls were simply left to be as they are – patchy and broken – without the need to make them perfect by restoring or covering them up. We are seeking for a responsible, friendly, and passionate individual to help at our Guesthouse. We'll show you how our system works and how to proceed with the check-in/out of our guests. We expect you to be responsible for these task. Helping us keep the Guesthouse tidy and clean on daily basis. Please note that we do have permanent staff who cleans the Guesthouse on a daily basis, we just ask for your help on their day off. For example, early in the morning, you should check if there is enough toilet paper and soap in all bathrooms. As mentioned, there will be a person who does the cleaning on daily basis, he also helps during the check out time by cleaning and making the beds but, eventually, you might need to help him. Mostly just to make sure everything is neat and tidy. As you're going to be around here, you shall become able to help our guests from helping them to find a place to eat or even helping them book their bus to their next destination. We're happy to say that there's no hard work here, but it is important that you are responsible, reliable and open. Extra help needed, for those who can help, please let us know. Let us know if you have any question or concern, I'm sure we can sort it out. - 5 to 10 minute walk away from public bus transit station. 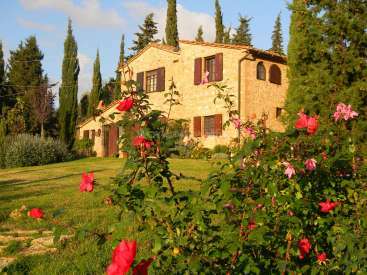 - Many museums, backpackers streets, coffee shops, and restaurants nearby. Dies sind zusätzliche optionale Bewertungen, wenn Mitglieder Feedback hinterlassen. Es wird die im Schnitt hinterlassene Bewertung für jede Option angezeigt. It was a great help to have Ely assisting in our Guesthouse and He jumped in wherever needed and had a real eye for that. Without saying anything he'd just be there already and do it. We had many great conversations and he was always good company to have around. It was a pleasure to have you stay with us, and you are welcome to come back anytime!… read more This was his first time experiencing in helping at Guesthouse. However, he was getting better day by day to fix all the check-in and check-out with some others taks. I will gladly host you again! I could tell this was going to be a great experience from the moment I arrived. The location is amazing and so is the guest house. It has inviting high ceilings and a bright common area with a sky light. Working here was a pleasure! Elaine the manager is a wonderfully delightful person who is kind, diligent, and understanding. She explains every… read more taste clearly and if you have any questions she is always available to help out. I mainly work reception but also help with other miscellaneous tasks. The computer program is very straight forward and the check in check out process is very clear. I would highly recommend this work away! I feel blessed to have had this as my first work away. I had a great time volunteering here!!! As it's stated in the profile all you have to do is pretty much the check in/check out for guests. Elaine is a really nice host and she explains everything very well to the volunteers. The Hostel is located in the center of the city and everything you can ask for is nearby lots of good food. I will stay a… read more few more days here as a guest and then head of to new adventures. Nikos are smart and independent, always available and manage my guesthouse at the best condition. Nikos are open to any task, fast learning and hard working person and he always have a very positive attitude . The skills for working with guests being helpful, friendly and polite. All in all it was a very positive and lovely experience and Great… read more person. I would hightly recommend him to everyone who wants a reliable and friendly person to help. Just like home at the Chateau! I had a great 10 days here in Penang and the work is quite relaxed, so it's ideal if you have your own projects to do as there is quite a bit of free time (which I really liked!). Elaine the host is very hospitable & accommodating, it's like you are visiting an old friend, she has lots of good local advice to help… read more you around Penang. The place is nice and quiet with interesting guests coming and going. I will definitely be back soon! Me and my girlfriend Libe stayed here for 10 days and it was amazing! First we fell in love with Penang as a city so we wanted to stay for longer and luckily there was a workaway near us that gave us chance to stay in this amazing city a little longer. Elaine is super nice and so welcoming, she explained to us what we had to do and answered any… read more questions we had. The hostel is a great little place to hangout and meet people and that’s what we done. Our responsibility was to check guests in and out and to give them advice on what to see around the city. The work was very enjoyable and very laid back. We absolutely loved our stay at the hostel and Elaine made it so easy for us. We wish we could have stayed longer but we had to keep moving. When we come back to Penang we will 100% be visiting again! Bety was a breath of fresh air, so young to look at, so mature in her outlook. She is a natural workawayer. adaptable, hardworking, versatile, and used her own initiative to prioritise the work that was needed to be done. she is always ready to help you, always say thanks with smile on face, i feel lucky to have volunteer like her. I will be… read more asking Bety back in the Penang. Thank you again for all your efforts helping me in my hostel. The owner Elaine is generous, friendly, open minded person with warm heart. She gives a hand whenever you need a help. You feel like you are at home. The job is well-organised and easy. Check-in, check-outs, general cleaning if needed (mostly not needed). I was very satisfied and happy to stay in such a cozy chilling place. Many shopping and… read more restaurants opportunities close by. We spent one month here, helping Elaine with the check ins and outs. She's a really good person, kind and organised. Staying there it's been a great experience for us. Is a really chill ambience, the job itself is really easy mostly beacuse Elaine has it very good organised. 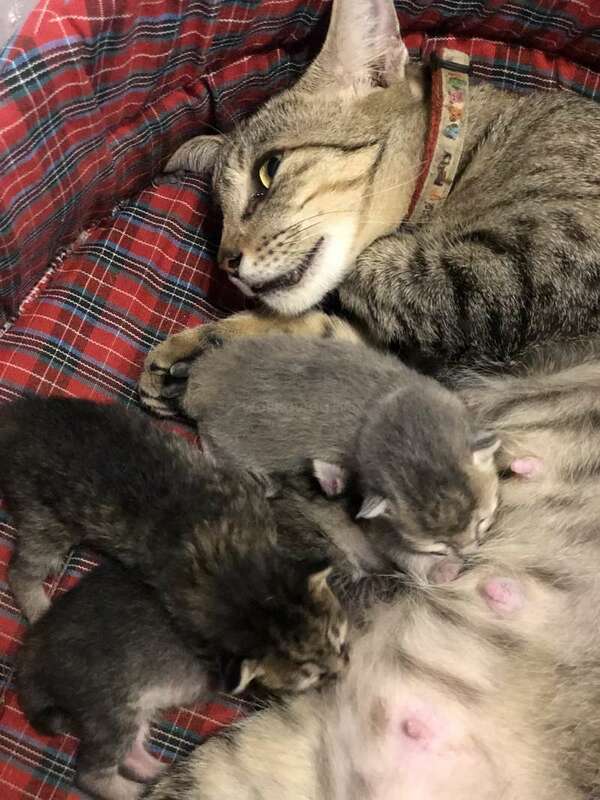 We met cool people with whom we could hang out and we also could see when… read more Ms cat gave birth to her four kittens. We really recommend this volunteer job. Thank you very much for everything Elaine!! Hi Ana thanks for everything, It was really nice to meet with you, you are awesome people. The job was easy as it was low season and Elaine is always ready to help you, she also supervises everything which is nice… read more and relaxing because it is difficult to make a mistake. 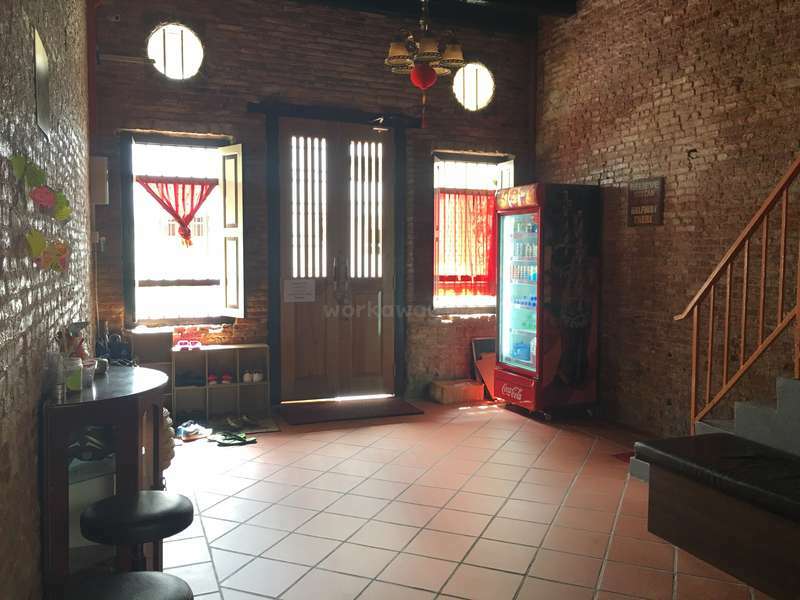 The hostel is very well located and actually looks like a big house for you to stay. I highly recommend Elaine as a host and the hostel itself. Thanks so much for taking care of me and being so nice and caring. I enjoyed hosting Kenji. I would love to host him again! He are smart working people. He helped me with loads of stuff and I'm very grateful. He is really 100% hard working, friendly, and quick to learn any task. I feel very lucky to have 'found him'. Thank you so much for your help. 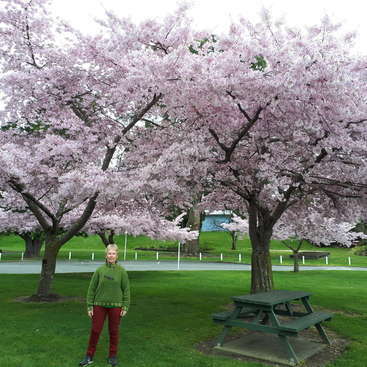 Kenji was a fantastic workaway, always working hard, very easily… read more understood everything that needed to be done. He is a good helper at guesthouse and i think can be multi task too. A pleasure to have him stay with me for a month . Thank you so much for everything. I would love to host him again and again if he love to stay with me. I really Kenji will come back again in March. I 100% highly recommend him to any host. This is not my first time doing workaway, but it is my first workaway at a guesthouse. I was nervous at first but once I arrived there, I felt so welcomed by the host. The host, Elaine, is a very very nice lady and approachable. She is always open to suggestions and feedback. Constantly looking after my well-being and even if she is not at the… read more guesthouse, she will always check if I need any help. Sometimes she will even bring some of the best local food for me. Daily tasks are easy. From keeping the premise clean and tidy at all time, to making sure that all the guests enjoyed their stay. Checking in and out procedures can be mastered within a day. The front desk system is easy to use and familiarise. The premise is such a beautiful place to live in. The details of the interior can let you admire it for the whole day. Location of the guesthouse is in the heart of Georgetown, but still quiet and peaceful. Very convenient. 24-hours convenience stores, great food, street arts, all located just within minutes of walk. Volunteers room are equipped with only fans but it is all good because this heritage house are built in a way that even the rooms are cool during the day. So there isn’t really a need for air-conditioning. Bed and pillows are comfortable to sleep in too. I must say that I really love this workaway experience and I will want to return again very soon. We only stayed 8 days at Elaines Hostel, but had a very good time. The work is easy and we could always ask Elaine if we had questions. 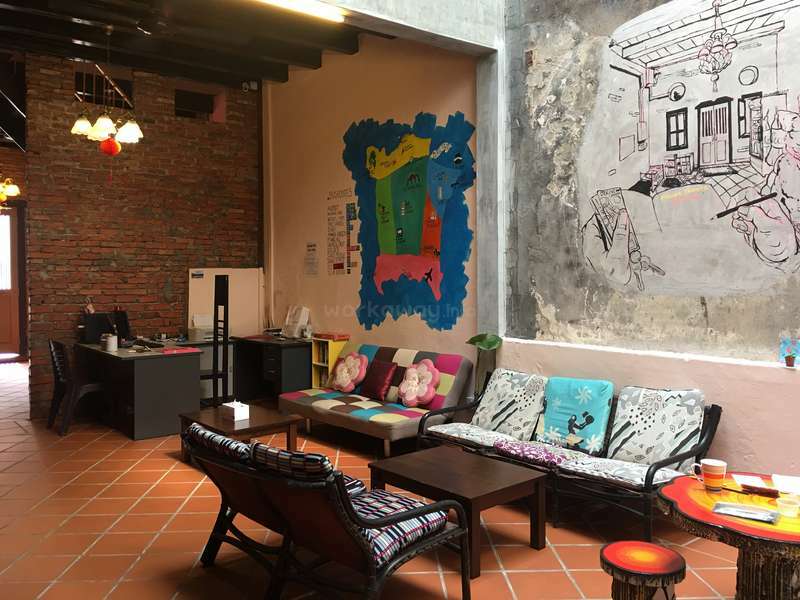 The Hostel is located in the heart of George Town, so perfect for exploring the city. When we stayed there it was not a lot going on, so a good place if you want to have some time on your own. Unfortunately I got… read more sick for some days, so we had to switch some shifts. It was a great pleasure having Pia and Viktoria helping us. Great person and we would recommend her to everyone who wants a reliable and friendly person to help. All the best and good luck on your journey. We had a wonderful two weeks with both sista! They are very responsible, fast learning and hard working person and they have a very positive attitude . The skills for working with guests being helpful, friendly and polite. All in all it was a very positive and lovely experience and we would highly recommend both sista as a volunteer! As a first Workaway experience it was really nice to stay in the Hostel with the very kind Elaine. The location of this place if really central to visit all the attractions in Georgetown, Penang Island. You will be immersed in the Unesco Heritage of this partimonial city and above all you will meet amazing people coming from all around the globe.… read more My stay at Elaine's Hostel was short still interesting. I helped to create a new logo for the Hostel. There is plenty to do and I advise you to take the initiatives and make the propositions to Elaine. The usual daily tasks are easy. Thank you Elaine for your kindness and your understanding. I stayed in this cute little hostel with Elaine for one week and I can totally recommend this workaway! The location of the hostel is amazing: really central but still quiet at night and everything in the city (Little India, the Street Art, the sights, etc.) is within walking distance. The work, which is mainly reception work, is easy… read more to pick up and there is enough time to explore the beautiful city of Georgetown during the free time! Elaine usually comes by during the day and checks if everything is alright and it was always very nice to have a little chat. Generally Elaine is very supportive and helps with every question and gives good advice what to do in and around the city! All in all the hostel is a really cozy, clean and calm place and I enjoyed my time here a lot! I was planning to stay only one week on the island, but I stayed almost 3 weeks. Penang is a great island with a lot options to do and see. Make sure to visit Penang Hill, the Kek Lok Si temple and Monkey beach. The city of Georgetown is the place to be for the best food, streetart, nice people and good vibes. Working in this hostel in the middle… read more of the city was amazing. The location is perfect, the hostel is clean and looks cosy. The first days were quite calm, not a lot of people around. After this we had more guests wich were all open to share stories and spent time together. The owner Elaine is a very nice woman, always asking how everything is going and she makes sure that here business is doing well. Thanks for hosting me, keep up the good work and take care. I will come back! Love and hugs from Lieke. Veronika is a great girl, very positive attitude and mindset, always smiling and does tasks happily, it was nice to know her and have her here in our team. She is really friendly, and quick to learn any task. totally recommended ! Whenever you and Lieke are in PG let us know you are always welcome to our hostel. My stay at Chateau 1 was really nice. The tasks Elaine is asking for are pretty easy and you can learn them really fast. Its all about check in/out, payments and keeping the hostel area clean. Elaine is a really lovely host and you can talk to her about everything if its about your nice experiences in the town, with guests or any issues. I enjoyed… read more my stay of a bit more than two weeks a lot. Thank you Elaine! Hope to see you one day again! This is my first Workaway experience and I spent a little over a month in Elaine's hostel. I enjoyed my time so much there as everyone was very welcoming. You just need to be responsible in terms of handling the check-in/out/ payment, keeping the hostel clean and be friendly to the guests. Elaine is a very kind host and she is easy to talk to. And… read more I'm already missing her cat! But most importantly, I loved spending time with the fellow volunteers there and we even started this project to revamp the hostel's marketing strategies. We created a website and I promised to return again to keep the project alive. I highly recommend Workawayers to volunteer here and lend whatever skills you have to the hostel and to Elaine! Mira was a very good addition to the guesthouse for the time she was here. Volunteering at this cozy little hostel was such a nice experience. The location is perfect, a quiet street in the middle of the exciting city. The work is relaxed and easy enough. You get a lot of chance to chat up with guests from all over the world and to discover Penang. Last but not least, Elaine is a lovely host. She's very laid back and… read more cheerful. I felt really comfortable staying there in every way. Elaine, sorry for the delayed review! Thank you for the nice experience and I wish you all the best! Thank you so much for your help, always working hard, very easily understood everything that needed to be done.We are so thankful for she brought a positive attitude and was so helpful. Not only did she do a great job at reception but she also helped everything when we needed her. Whenever something unexpected came up she was flexible and adapted… read more to any situation very well, and she is a fast learner who can work under pressure. Any other hosts who work with Laura will be very happy to have her as part of their team! Highly recommended to future host! I really enjoyed my time at the Guesthouse. I met some great people and it was a very relaxed job. Elaine is such a good host and she really is keen to ensure that everything runs smoothly. Everything is well organised and leaves plenty of time to explore penang! Thanks for being so kind and making my stay in penang so positive! We are so thankful for the time Jamila decided to stay here - she brought a positive attitude and was so helpful. Not only did she do a great job at reception but she also helped when i needed her (she's a great cook btw!) Whenever something unexpected came up she was flexible and adapted to any situation very well, and she is a fast learner who… read more can work under pressure.She were all good doing her own thing but also very friendly people who got along wonderfully with all the volunteers. This was an amazing little hostel in the heart of Penang. The hostel itself is really clean and comfortable, and Elaine was such a great host! She was always really helpful, and on more than one occasion brought myself and other volunteers some delicious local treats! I really felt at home while I stayed here. 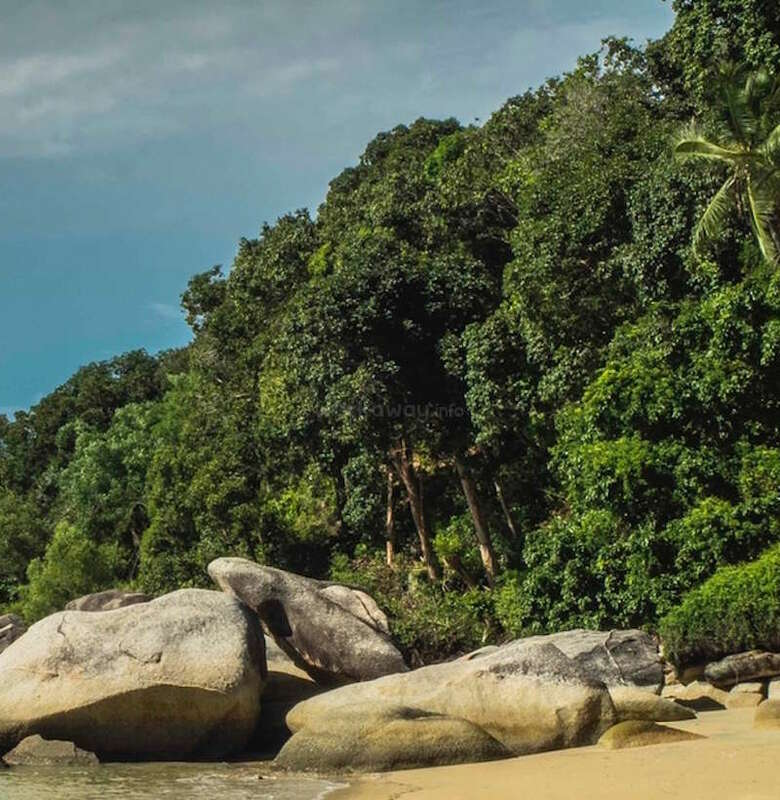 If I’m ever in Penang again, I will… read more definitely come back here! Dominic is a lovely person. He is really hard working, friendly, and quick to learn any task. We feel very lucky to have 'found him'. Thank you so much for your help. Dominic was a fantastic workaway, always working hard, very easily understood everything that needed to be done. He is a good helper at guesthouse and i think can be multi task too.… read more A pleasure to have stay with us for a month . Thank you so much for everything. We highly recommend her to any host. What a great girl! smiling giving caring .Thank you so much Simona. 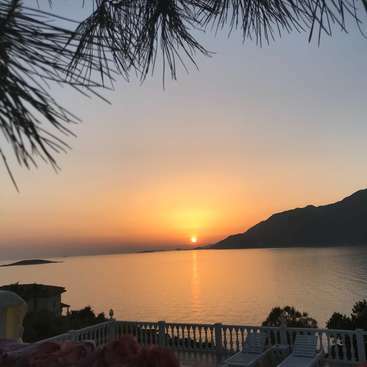 We had the most lovely time working and hosting Simona .She is a hardworker, always on time, doing her best at all the working hours every day and the cleaning was very good and satisfying. she also helped a lot of all when never i needed her . She's very sweet and easy. Thank you very much, Elaine, for a nice stay. Wish you all the best! Miss you BOTH many many :-) Juan and Rebecca were a very nice n sweet couple eveer. They both always helping which whatever i needed. Feel so sad when the time Rebecca is here her leg was get some injured and she cant spent a lot good time with Juan to explore our Beautiful Penang. Am very happy to have they both completely reliable and very… read more adaptable in any situation. Feel very thankful to manage everything so perfectly. They brought a positive attitude and was so helpful do a great job at reception. Thank you so much for everything. A sweet and always have a smile on her face, She were all good doing her own thing but also very friendly people who got along wonderfully with all the volunteers. She were a clean and tidy young girl. She did her 1st workaway at my hostel and i only can said GOOD JOBs.......wish her to come back again. Miss you . I loved this place from the moment I entered the hall:) It's chill, it's very clean and cosy, it's everything a workawayer like me would love to have: a home, a responsibility, a new experience, feeling secure and welcomed! Elaine is a wonderful person you pick up a hostel management skills very easy from. It's a unique place&people I met there… read more and I wish I could stay more! Miss you, Elaine! Diana is a lovely person. She is really hard working, friendly, and quick to learn any task. You are resourceful and very knowledgeable, understands instructions very well and a good team member. She is also a well-informed person and we had many interesting conversations she was very intelligent can manage everything without my asking . I would… read more likes she come back to help me if she want .....I was very sorry to see her go and would gladly welcome her back. Thank you for helping us. I are really happy to have you help especially while you was here for a month. You are resourceful and very knowledgeable, understands instructions very well and a good team member. She is also a well-informed person and we had many interesting conversations she was very intelligent can manage everything without my asking… read more . Yumeko was a fantastic workaway, always working hard, very easily understood everything that needed to be done. I would likes she come back to help me if she want .....I was very sorry to see her go and would gladly welcome her back. Highly recommended to potential hosts! I had such a wonderful experience here!! I stayed for a month, and I want to call it as my home in Malaysia. The host, Elaine, is a great person, she cares about volunteers so much, and I enjoyed talking with her. The work was simple and easy (I even wanted to work more! ), and Elaine was always helpful when we had any questions. It's a quiet… read more hostel with a relaxing atmosphere. You get free breakfast, and get some lunch money on your work days. 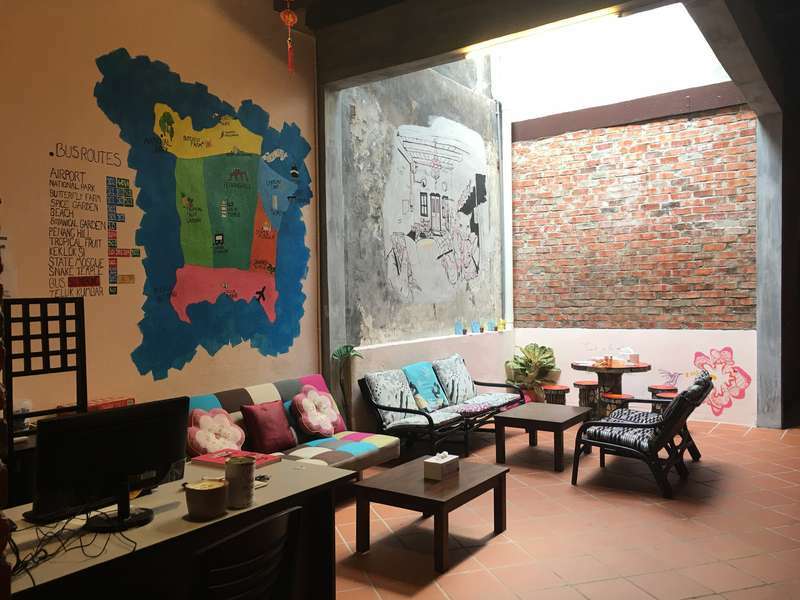 George town is a good place to get around, and this hostel's location is perfect to find good food. My first workaway experience was perfect. Matthias is a lovely person. He is really friendly and quick to learn any task. We feel very lucky to have found him. He did some marker art in my wall with great good will - he brought a positive attitude and was so helpful. Me very happy to have him as part of our team!. We hope you will stay longer with me and not just for 10days. We highly… read more recommend to any host. Elaine was such an amazing host! She was extremely welcoming, friendly and helpful. She was like a second mom for me. I stayed for 10 days and completed some wall art in her hostel. The hostel is very quiet and offers a relaxed atmosphere, to recharge your batteries so you can go on with traveling. I ended up painting for around 2-3 hours a day.… read more All in all I had a lovely stay. 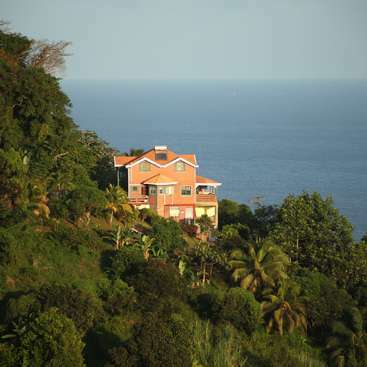 The hostel is situated in a silent area of George Town not far from the ferry and a bus station. Thank you Elaine for the opportunity to draw and fulfil myself on your Walls! Hope to see you again! I spent three month at Elaine's hostel. It was an amazing experiennce. The job is easy, it's 5 hours per day. We can help in the morning or evening at the reception doing check in and out, setting up breakfast and sometimes helping with the cleaning of the rooms. In exchange I get accommodation, and money to eat. Elaine is a really, really nice… read more person, she is very kind. Those three month were just amazing, I had such a great time with Elaine. She is a wonderful person and really cares about the volunteers and the guest. I learned a lot of thing near Elaine about the culture, Malaysia and so much about Penang. 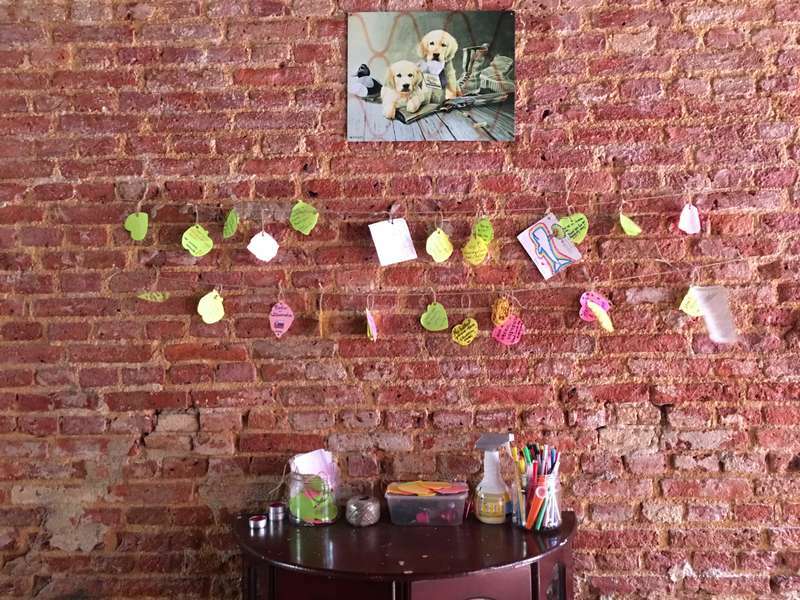 The hostel is new, and the location is perfect, close to all Georgetown's main attractions. I really enjoyed the time in Penang because the state is really nice, full of street art and the food is just AMAZING. I will definetly miss the food and the atmosphere in Georgetown. Thank you so much for everything Elaine. I will miss you a lot. Hope to come to Malaysia again. 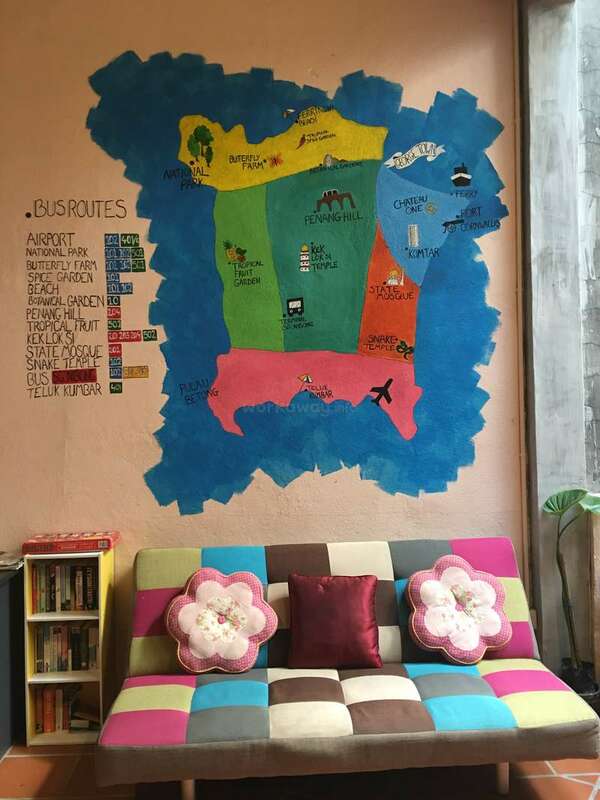 Ellie stayed with me just bout a week , she help to draw a beautiful penang map at my hostel. She was very kind and nice person. She really did a very nice job on her drawing. Hope she will come to visit me again . Elaine was a great host! She was extremely welcoming, friendly and helpful. I stayed for 10 days and completed some wall art in her hostel. The hostel is very quiet and offers a relaxed atmosphere. I ended up painting for around 4-5hrs a day. All in all I had a lovely stay. It's great that the hostel is nestled away right in the heart of Old… read more Town. Thank you Elaine! Thank you for helping us. I are really happy to have you help especially while you was here for a month. We're glad you enjoyed the food as much as we enjoyed the food you prepared. You are resourceful and very knowledgeable, understands instructions very well and a good team member. She is also a well-informed person and we had many interesting… read more conversations she was very intelligent can manage everything without my asking . I would likes she come back to help me if she want .....I was very sorry to see her go and would gladly welcome her back. The guesthouse is a renovated heritage house well located in the center of George Town. The comfy common area is perfect to chill out and to get to know the other volunteers and guests. A small kitchen is available for cooking some dishes but there is plenty of restaurant and street food at walking distance where you can find Indian, Chinese and… read more Malays food. Elaine is a wonderful and kind host who cares about her volunteers and guests. She is always full of energy and cheerful. She loves and knows very well her town so it was a pleasure to discover Penang at her place. Thank you Elaine for making me try those delicious dishes. I stayed 5 weeks there. The job is easy and allows you to have plenty of time walking around George Town or hop in a local bus or a Grab to discover neighbor district. Thank you for helping us. I are really happy to have you help especially while I was away. I glad you enjoyed the time we was with Lucia together. Thank you so much to taking care off my hostel helping in housekeeping and manage everything perfectly without my worries. Thank you for the gastronomic cultural exchange :) You are… read more resourceful and very knowledgeable, understands instructions very well and a good team member. If you are travel to Penang again please don't hesitate to drop by. Take care and God bless! I spent more than one month at Elaine's hostel. It was a fantastic experience. The job is pretty straightforward, 5 hours per day, working mornings or evenings, at the reception doing check ins and out, setting up breakfast or helping with the cleaning of the rooms. In exchange you get accommodation in a separate room from the guests, and money to… read more eat, which is a terrific idea since there are so much amazing food in the city. Elaine is an incredibly nice, easy going, kind and flexible person. We had a lot of fun working together, I met her family, she took me and another volunteer out for dinner in different places in town. She is a wonderful person and you can see this from the way she is with guests, as well as with volunteers. The cultural exchange was also very interesting, learning many new things about the Chinese culture in Malaysia. The hostel is brand new, and the location is perfect, close to all Georgetown's main attractions and at the same time, in a quiet area. 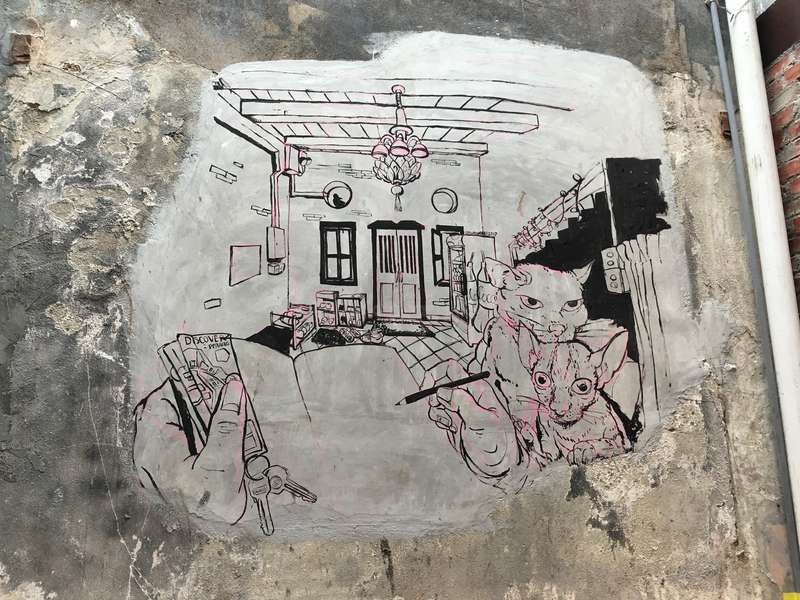 The city is beautiful, full of street art and outstanding food, there are plenty of events every week, many places with live music, art exhibitions, nature, beaches, etc. Lucia was a very good helper for me and always make a lot fun with me and my guests , she was very intelligent can manage everything without my asking . I would likes she come back to help me if she want come penang again . Thank you for everything on helping me . Fantastic volunteer opportunity! It was my first time with workaway and i really enjoyed myself. Elaine is a wonderful and kind person, the job is easy and straightforward, the people i met were well worth the experience. Georgetown itself is a charming place that never gets boring. I miss it alredy and hope to return soon. Teofil was very good helper to me , he did well on customer services , receptionist n house keeping everything for me without I asking And would help what ever he can . But just a little bit sad because he just helping me for 1week ☹️. Thank you for taking care off my hostel n me . I really enjoyed my stay at this new hostel. It was exactly what i needed after a lot of traveling between islands in Thailand as the work here was really easy, not so much of work, but mostly reception and general maintenance. The location is really convinient here in George Town, close to all main tourist attraction and night life. Also the… read more hostel itself is a nice place to live in as it is a part of the heritage buildings. Ellaine is such a wonderful person! We had a happy time while working together, she definitely knows how to use jokes almost in every situation. Thank you so much for your kindness and all the support. Johanna was a good helper , she spent a month to help me a lot in my hostel . I have spent a month at Elaine's hostel and really enjoyed it. The work is easy and I had a lot of time exploring Penag. Thank you for the opportunity. My stay at this Chateau has been amazing! The family is so friendly and accommodating. I have felt safe and comfortable during my stay with them. Elaine is around often and because I am vegetarian she has brought me many foods to try that I never would have found on my own! And because the hostel is so new she did not ask much of me but I am… read more hopeful that great things will come for them. I would totally recommend an exchange here.